He meticulously tends to the sports ovals, gardens, native bush area and ponds, while making sure he is always available as the ‘go-to handyman’. 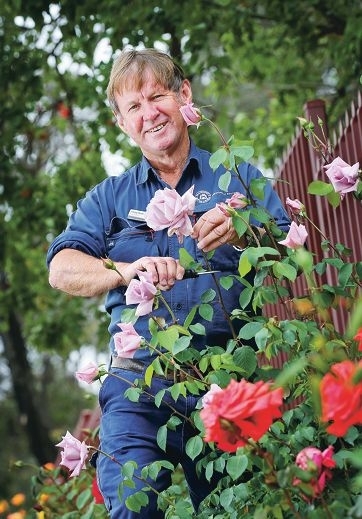 For the past 12 years, the head gardener at Armadale Senior High School has invested much of his time and energy into creating an aesthetically pleasing environment for students and teachers. Mr Newton has been named as a finalist in the 2014 WA Education Awards in the School Services Staff Member of the Year category. Armadale Senior High School principal Mary Griffiths has described him as an ‘extraordinary’ person who is well liked by both students and staff. ‘It’s amazing what he does for the school,’ she said. Mrs Griffiths said Mr Newton often worked early in the morning, returning late in the afternoon to help others, and on the weekends he was back at school to water and spray the gardens. He uses his knowledge of the local environment to select plants which are used in science lessons and he keeps the school pond healthy so it attracts an abundance of wildlife, which students can also study. ‘Our school grounds are a positive learning environment for our students because of what Jimmy has created and the standard to which he maintains our gardens and buildings,’ Mrs Griffiths said. Mr Newton said he was a bit ‘shocked’ to be announced as a finalist, but he thoroughly enjoyed his job and considered the school to be his second home.